Bali Children Foundation (BCF) provides an educational pathway for disadvantaged Balinese children and Motel Mexicola is proudly involved by supporting a whole BCF community in a town just outside of Lovina in North Bali. 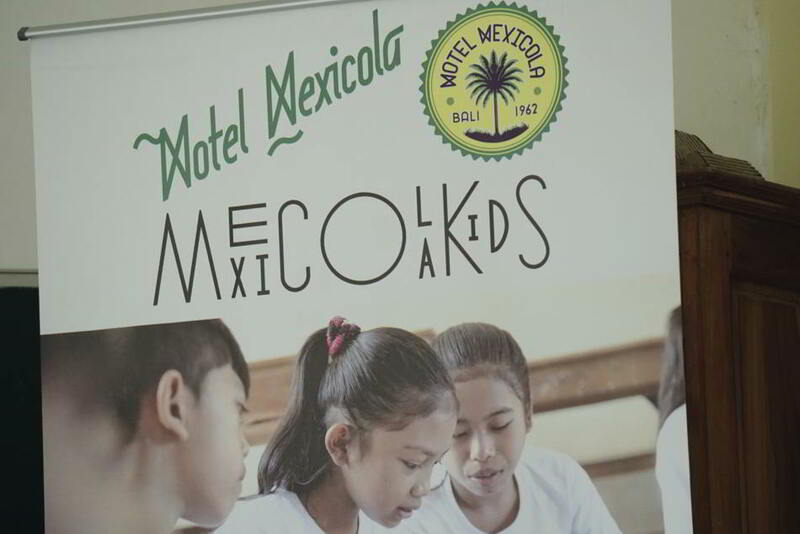 Motel Mexicola sponsorship supports school fees, books, bags, shoes, socks and hygiene kits for 19 children, known as ‘Mexicola Kids’ and also helps to provide key skill sets within the community with computer and English classes. Year 12 students are mentored into a work-ready environment providing pathways into employment. Since being founded by Margaret Barry in 2002, BCF has grown from delivering education opportunities to 45 students to over three thousand students in 45 communities. In these communities BCF has directly lowered drop out rates after primary school from 60% to 3% which means communities in which 50% of the population were functionally illiterate now have educated, employed, well paid young people with great futures to look forward to. Motel Mexicola is enormously proud of the impact their support is having on the futures of the ‘Mexicola Kids’ and is committed to continuing their support of Bali Children Foundation into the future.